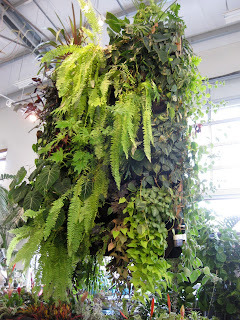 I recently made my first visit to Flora Grubb Gardens in San Francisco. What a fun place! The sales staff was ever so helpful, asking if we were finding what we needed but allowing us space to wander mesmerized. Northern California is fortunate enough to have many excellent nurseries and this is certainly one of those that deserve to be on your Must See list. A carnival ride car is most appropriate...this nursery is like Disneyland for garden geeks! And what better use for a past-its-prime Edsel than as a slightly over-sized succulent dish garden? 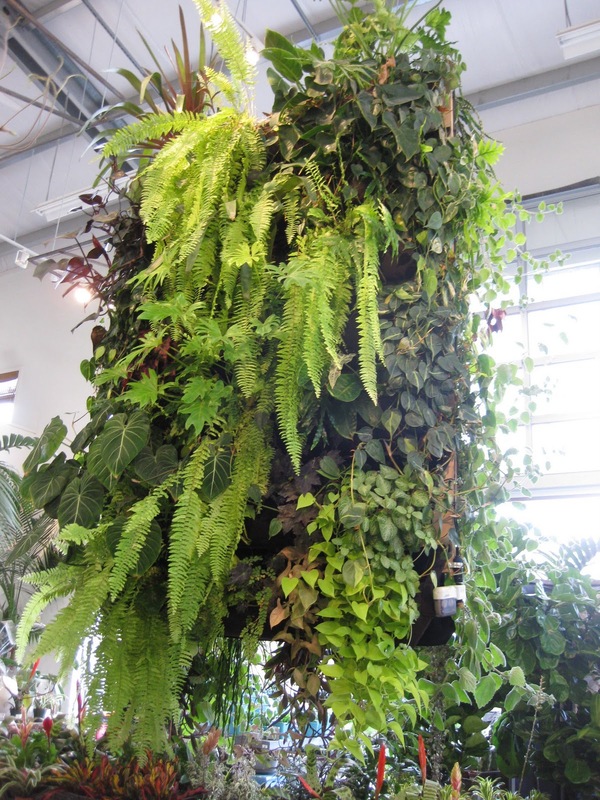 An immense vertical garden...lush, lovely and perfect for that little spot that needs brightening. This is my post for Three For Thursday...organized by Cindy at My Corner of Katy. You can join in too, or visit her blog to find links to others participants. She writes Pick 3 pictures of plants from your garden ... tell us about 3 books you've read that you want to share ... rant about 3 things that bug the heck out of you ... show us 3 pieces of garden art or 3 photos of egregious crimes against gardening ... you choose what your three will be. Flora Grubb looks amazing! Love the Edsel. I hope to get there some day. Planning a trip to Sonoma in Dec. Maybe then! Leslie, what a great Three for Thursday post! I love the Edsel planter! I'm so envious that you live near great nurseries. Beautiful and what an amazing place Flora Grubb must be. I just saw a succulent hanging that they have somewhere else online. So what did you buy? ?